Alastair Cook and Joe Root both made centuries as England reached tea on the fourth day of the final Test against India at The Oval on 364-6, a lead of 404 runs. Cook completed his 33rd Test hundred in his final innings before international retirement while Root made his 14th Test ton. They put on 259 runs for the third wicket before they departed in successive balls. England captain Root was the first to be dismissed for 125 when he attempted to hit Hanuma Vihari out of the ground and was caught on the deep mid-wicket boundary by the substitute fielder. It was Vihari's first Test wicket and he took his second with the next delivery when Cook edged him to wicketkeeper Rishabh Pant and was out for a magnificent 147. Root hit one six and 14 fours in his 190-ball innings while Cook reached the boundary on 14 occasions from 286 balls faced. England attempted to hit some quick runs following the shock dismissals but Jonny Bairstow was bowled by Mohammed Shami for 18 and Jos Buttler was out for a duck when he hit Ravindra Jadeja to Shami at point. Ben Stokes was unbeaten on 13 at tea while Sam Curran was seven not out. 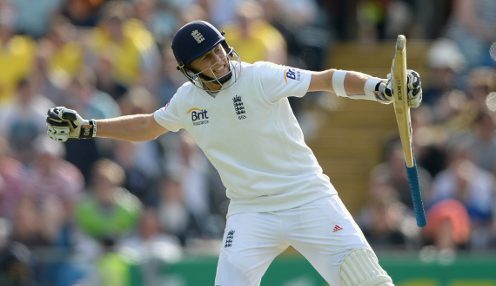 England, who have triumphed in three of the first four Tests in the series, can be backed at 1/200 to win the fifth Test while an India victory is available at 1000/1 and the draw is 20/1.